Come and experience the incredible Kea 6 Line tour! This stunningly beautiful guided journey through parts of native beech forest comprises of six amazing ziplines finishing with a zipline ride that descends 30 storeys at speeds of up to 70kph! ensuring you leave as a world breaker as you have tackled the worlds steepest tree to tree zipline. The Kea tour is truly a unique way to get down the mountain and will leaving you feeling on a natural high. 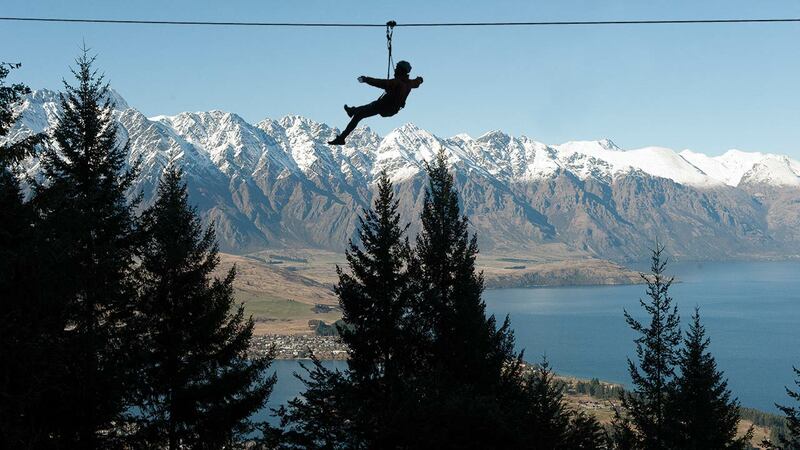 Ziptrek Ecotours is NZ's #1 Original Zipline tour company. 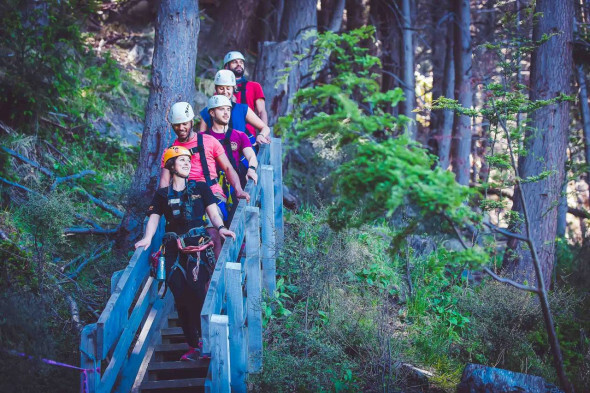 Our company is well-renowned for its award winning sustainable efforts and offers a spectacular and fun zipline adventure through the forest canopy high above Queenstown, on Skyline Gondola hill. Ziptrek is for all ages, confidence levels and abilities. Come and see why everyone says it is Queenstown's 'must-do' activity. Tours take place on the Moa 4-Line or the Kereru 2-Line + Drop courses. Combo up - Save time and money! First family of four vacation in who-knows-how-long to celebrate momma’s milestone birthday! Best views and loads of fun! We had an excellent time with our guides Alice and Gordon - the best guides ever! Fantastic views, loads of fun for the family and what a wonderful message of sustainability. We loved our time on the Moa tour - 4 zip lines! We picked the 4 line zip package, and Joey & Leah took wonderful care of us! Great experience for us “seniors”, as well as the youngsters on the trip. If you’ve never tried this, now is the time! This company outshines every adventure we have ever done. The employees were knowledgeable, professional , environmentally conscious and extremely well-trained. Not to mention personable and accommodating. Our safety was tantamount and it made us feel secure in our endeavor. The views were stunning and incomparable to other zip lines. We can not recommend this company enough...and would surely give it 6 stars, if we could. Thank you Calum & Jack for an awesome experience. We had a great day at Ziptrek! We did the 6 line tour. The guides Jake & Liam were great - they taught my kids tricks on the zip line. They were very knowledgeable in the “Eco” part of the tour. A must do in Queenstown. Foss and James were wonderful guides who made every effort to make sure we had a good time! As for the tour itself, it was very informative and I find the 4 steps very creative. Teenage boys loved this. They did the 6 line tour and said that the safety standard (compared to others they had done) was very very high. It was organised, professional and informative. My 13 year old was talking about what he had learnt weeks later! Thank you, highly recommended. I'm glad we did the 6 lines because 5 and 6 were my favourite. I was really scared before we did it, I'm not so good with heights but I did it! Loved the zip lining, the views were amazing over Queenstown. Tameka and Jake were excellent guides, they were really supportive and informative. It was excellent value for money, I recommend it! My husband and I went on the Kereru tour with Callum and Toby. It was amazing not only the ziplining but the friendliness and knowledge they have of the ecosystem. Even being kiwis they taught us a lot. Well worth going on the Kereru tour. Enjoyed the 6 zipline ecotour! Great sights while zipping especially line 4. Safety is emphasized and we see it when the guides handle the equipment and make the checks for everyone before dispatching. Will return! Very friendly guides who gave us a wonderful tour. The zip lines were fun and easy and Jack and Jenny are really supportive for the people who are not so comfortable with these activities (e.g. fear of heights). The zip lines were very cool, including some amazing sceneries of the lake. Activity packed with adrenaline, knowledge and good vibes! The guides are super friendly and everything feels/looks really safe. Would highly recommend if you're in Queenstown!